Like most fans, I’ve heard several stories about a potential Star Wars live action TV show. First, former Lucasfilm executive Rick McCallum talked about the idea for a show called Star Wars: Underworld seemingly being developed in tandem with a still in the works Clone Wars animated TV series. After several conflicting reports regarding how many episodes were being made, Lucasfilm revealed that 50 scripts were being written by noted sci-fi writers and that the goal was to figure out how to make them feel like Star Wars, something that would be no easy feat considering the budget restraints (a somewhat ironic problem for a company like Lucasfilm, but I digress). The aforementioned sci-fi writers made this prospective TV series even more exciting with Battlestar Galactica’s Ronald D. Moore among the talent hired to write several episodes. Yet the budget always seemed to stand in the way of seeing these episodes come to screen. It appeared as though the closest we were going to get was the Clone Wars show (the droids and Ewoks shows aside). Then, in 2012, Disney bought Star Wars. In addition to Episode VII, rumors abound that they would begin to put together ideas for a Star Wars TV show, something that Bob Iger, the head of Disney alluded to several times. I’ll be honest I didn’t really believe it in large part because, like Luke Skywalker himself, the live-action Star Wars TV series had become something of a myth. Yes, we would hear various stories about the production (Young Han Solo, Boba Fett, Ron Moore arguing about Darth Vader with George Lucas, yadda yadda yadda), but we would never really see anything. March of this year changed everything: Kathleen Kennedy the president of Lucasfilm announced that Iron Man and Jungle Book director Jon Favreau would be producing a live-action Star Wars TV series, still untitled at the time. When I saw that press release, I just stared at the computer screen saying “What?” over and over again like a crazy person. I wasn’t sure what surprised me more: the fact that the Star Wars live action was happening or the fact that Jon Favreau was the showrunner. Even with the success of The Jungle Book and the undoubted juggernaut that is the upcoming The Lion King, I was shocked. Jon Favreau as the creator/developer? Sure. However, being a showrunner is another beast entirely, something that, to the best of my knowledge, he’s never done before. In interviews during the Solo premiere, Favreau mentioned that he had written six episodes of the series, but there is a lot more to being a showrunner than just writing. In this role, Favreau is responsible for a myriad of tasks, whether it’s troubleshooting problems on set or having a significant say in who is cast. In essence, the showrunner fills the same role a director does on a movie set, so on the surface it shouldn’t be an issue, but when we’re talking about what some like to refer to as a ten-hour movie it can be rather daunting. But I was optimistic about how he’d tackle this new challenge. 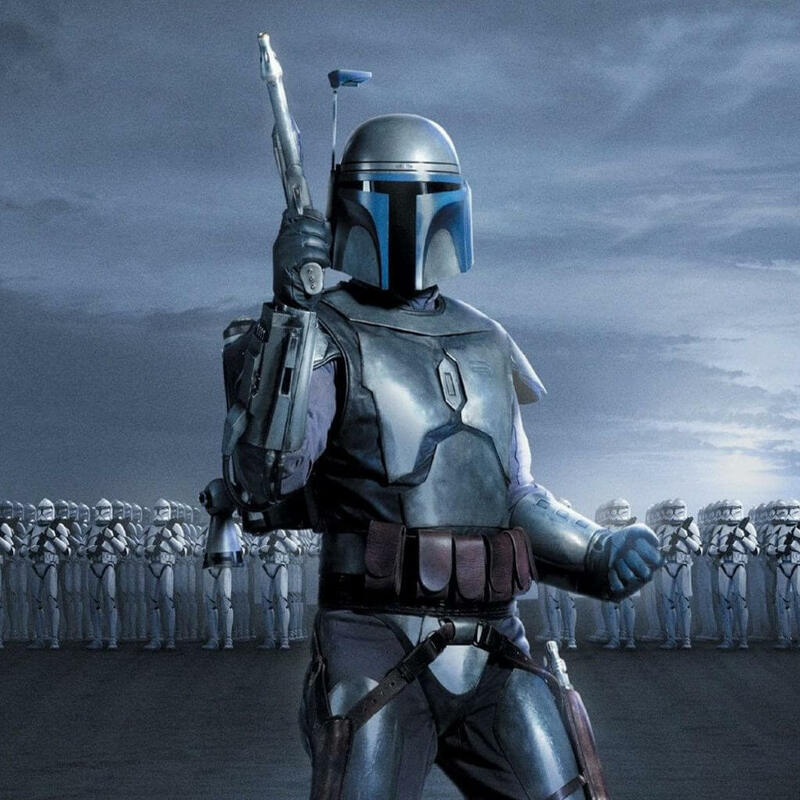 My optimism turned to unbridled excitement the moment Favreau announced the title, The Mandalorian, accompanied by a picture of a character who, at first glance, looked like Boba Fett but thanks to a brief synopsis, it was made very clear that this was not the legendary bounty hunter. 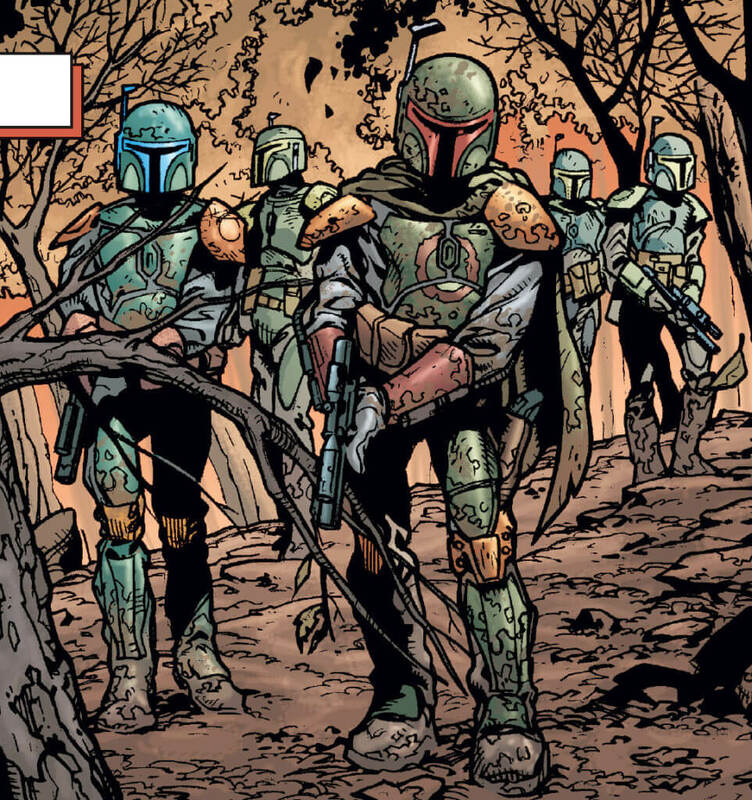 Since Attack of the Clones, I’ve always felt we had enough story on Boba Fett and that we should instead be focused on preserving the legacy of this character, so when Favreau stated The Mandalorian took place outside of the Fetts, I was thrilled. Not only because of the aforementioned preservation, but because this isn’t just a story beyond the Fetts but also beyond the hokey religions and ancient weapons. This is going to be about a gunslinger trying to make his way in the galaxy far far away. I love this idea. There are so many different ways The Mandalorian can go. Mirroring the concept of Solo, this is going to be a straight-up space western with the idea of a galaxy trying to rebuild itself after years of tyranny. The prospect of several characters weaving in and out of the show, siphoning off bits of information about the effort to restore the Republic while the titular character is dealing with the latest scum and villainy the galaxy has to offer, is incredibly compelling. Granted, this may be reaching a bit, but what Star Wars fan doesn’t love a bit of speculation? How does a character like the one in The Mandalorian live in the Star Wars universe without the safety net of a Rebellion, a Resistance, or a Republic? With Dave Filoni involved, most notably as the director of the first episode, perhaps we’ll get a few nods to Sabine. My personal hope would be for the titular character to get involved in a story that brings Ezra back to the forefront. I won’t be holding my breath though; I’m not too hung up on my fanboy wishes because they stem from my excitement over all this potential. By centering this show around an ostensibly unknown character, Favreau has given himself a virtually blank canvas, and the possibilities are endless! I feel as though The Mandalorian will offer a perfect alternative to those longing for the mythical Star Wars underworld series while at the same time presenting a new vision of the galaxy far, far away from the mind of die-hard Star Wars fan who once compared the Mandarin to the Emperor. Having a fan at the helm of a Star Wars series is good, but having a fan with the pedigree of Favreau is better. A Star Wars live-action TV show was something I’d dreamed of for a long time, and Jon Favreau is now in the process of making that dream a reality. Throughout years of tantalizing rumors, that dream never died, and now the show will serve as the focal point of a new streaming service Disney will launch next year. While nothing is guaranteed, I have hope for Favreau and The Mandalorian, and what is Star Wars about if not hope?